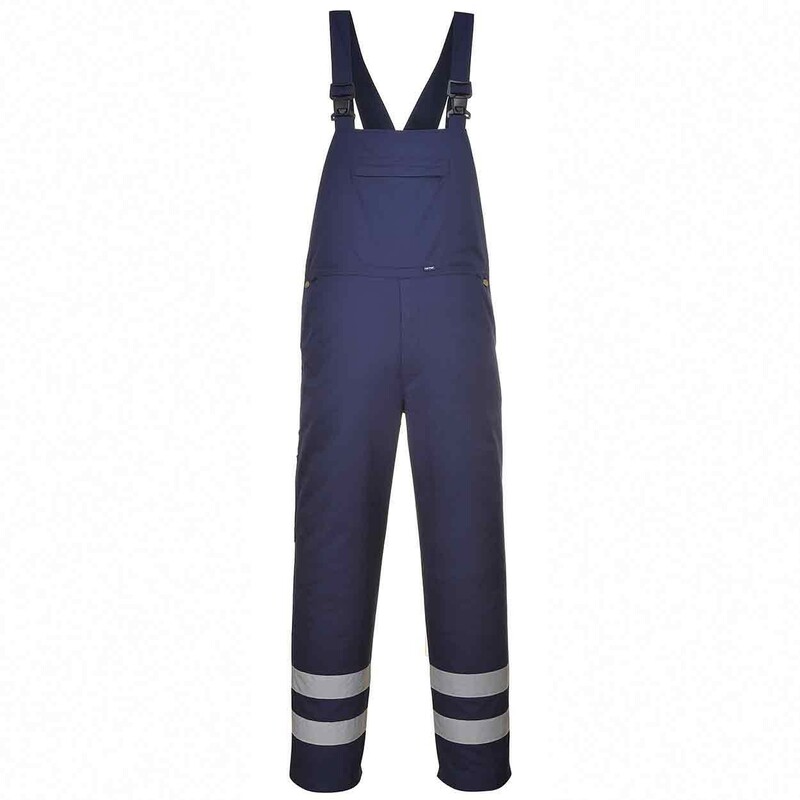 The Portwest Iona bib and brace offers comfort, safety and functionality. The Iona bib and brace offers comfort, safety and functionality. Features include a spacious chest pocket, double rule pocket and reflective tape. Features include Double rule pocket, Elastic back for comfort and Reflective tape. Fabric: Kingsmill 245g.